Plenty of marketing execs are starting out the new year with new gigs. Check out our list of comings and goings at the end of this column, including how Target Chief Marketing Officer Rick Gomez is expanding his duties at the retail giant. But we begin with a little Super Bowl news. 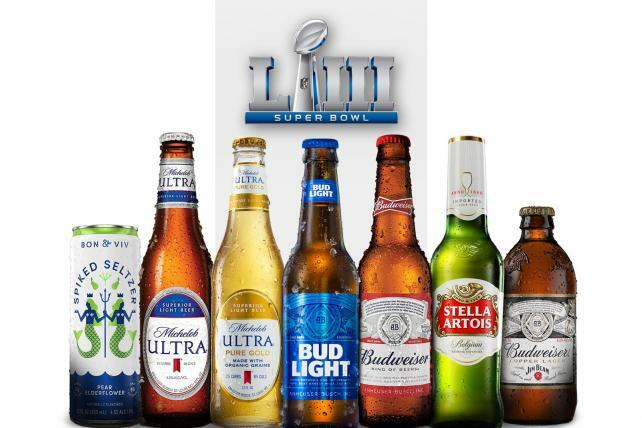 Anheuser-Busch InBev has tacked on another 15 seconds to its Super Bowl ad buy, bringing the brewer's total time to five-minutes, 45 seconds, across eight ads. The brewer also plans to run eight more brand plugs during the game, totaling five seconds each. While not traditional spots, a spokesman says the quick hits will include so-called billboards— an animated or static graphic on TV with brand copy/tagline—and "aerials," which are cuts in and out of the game, including some occuring during the game when there is a break in action. Add those in and the company will be consuming 6 minutes and 25 seconds of air time, which it says makes this its biggest Super Bowl ever. Cargo, the miniature convenience store found inside Uber vehicles that sells candy bars and breath mints to passengers, is now entering a new arena: digital sales. The company said Wednesday that it's partnered with SeatGeek to offer Uber riders deals on digital tickets to concerts and sporting events; the move marks Cargo's first expansion beyond the sales of physical goods. Passengers will have to use their mobile phones and enter a unique code found inside the Uber vehicle to save money on tickets, the company said. Cargo's business model revolves around turning what some Uber drivers already offer for free — mints, candy — into a side hustle to earn extra cash. A typical Cargo box includes items such as Rice Krispies Treats, Pringles, Advil, stain removal napkins and Extra spearmint gum. Kraft is offering a shop-for-free store for furloughed federal workers in Washington, D.C. as the federal government shutdown continues. The pop-up store at 1287 4th Street NE, is set to be open Jan. 16-20. Federal workers with government IDs can get a bag of Kraft products. The brand said it is asking workers to donate to their charity of choice if they are able to do so. There's good news and bad news for survivalists. Costco recently began selling a 27-lb bucket of macaroni and cheese. From Chef's Banquet, the $89.99 product holds a whopping 180 servings of elbows and 180 servings of cheese sauce, all in zip-sealed packages. "Great for weddings and parties," wrote one recent reviewer on Costco.com. The item is already out of stock, however. Another day, another hemp play. 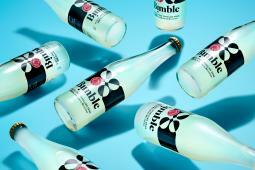 A new beverage brand called Bimble boasts 25mg of "hemp-derived, full-spectrum CBD." PayPal has a chief marketing officer again, after six years without one. The company has tapped marketing veteran Allison Johnson, who was most recently a managing partner at marketing and venture capital firm West, which she co-founded. CMO Rick Gomez has added another title to his role at Target. Gomez is now chief marketing and digital officer, in charge of the digital team. Katie Boylan, senior VP, communications, was also promoted to chief communications officer. Lands' End has promoted Chieh Tsai to chief product officer from senior VP of design. Tsai is tasked with leading the brand's signature look and feel. Vegolutionary Foods, which makes Caulipower pizza, named Stuart Smith to the newly-created position of chief marketing and growth officer. Smith joined Ogilvy in 2010 and was most recently CEO of Ogilvy Public Relations. He plans to relocate from New York to Los Angeles to work at Vegolutionary. Peter Laatz has been named global managing director of IEG, the sponsorship consultancy that WPP recently sold to Engine Shop, a fast-growing sports and entertainment agency. Laatz comes from Nielsen, where he directed and oversaw the North American sports business, including all operations and a 90-person team.